The majority of concrete coatings are dependent on temperature, so, as colder weather settles in, it becomes more important to look at particular conditions of your space. If your space is heated and can maintain a certain temperature, the outside temperature has little to no effect on successful application. However, if your space is unheated, temperature may adversely affect concrete coatings. As a general rule, the minimum air and surface temperature required when applying most concrete coatings and sealers is 50°F. When the temperature drops below this threshold, a needed thermal reaction fails to occur and the coating does not adhere properly (or takes too long to cure). This can lead to delamination, hazing and/or the formation of micro-bubbles. While air temperature is easy to read, reading surface temperature can be a bit trickier. In colder weather, concrete is almost always colder than the surrounding air. The coating will take on the temperature of the concrete once applied, so the right surface temperature is vital to a successful outcome. If the temperature of your concrete slab cannot be maintained at 50+ degrees in fall or winter, it is advisable to delay the application of a concrete coating to a warmer month. Exterior concrete coatings are not advisable in Iowa, because the coatings do not hold up over time. The extreme temperature variation causes concrete to shrink and expand. Therefore, coatings and cementitious overlays will pop off or crack. It is possible to stain exterior concrete in warmer months, on the other hand. However, a sealer will have to be applied approximately every three years. 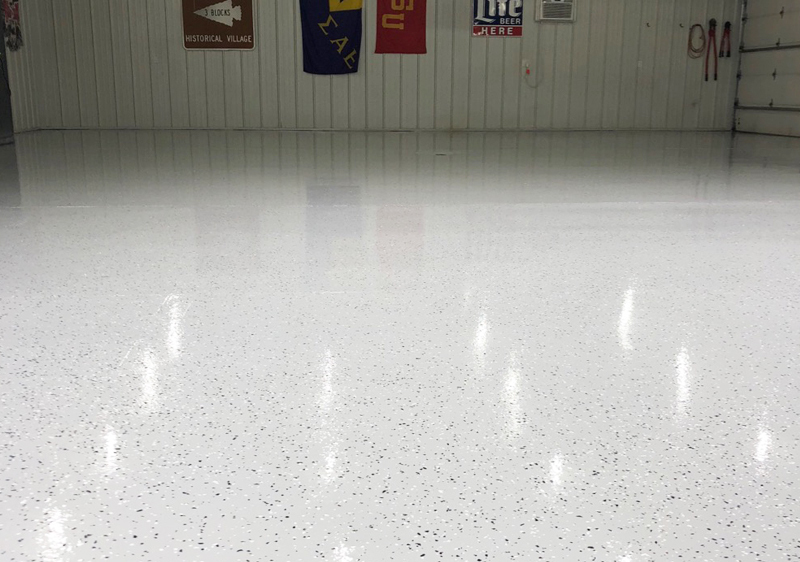 For more information on applying concrete coatings in colder months, contact us today.